In a small pan, bring balsamic vinegar to a boil over medium-low heat. Cook for 10 to 20 minutes, or until balsamic vinegar is reduced to a thick glaze. Remove from heat and cool. Arrange alternating slices of tomato, cheese, and basil leaves. Drizzle with balsamic reduction, olive oil and a bit of salt and pepper. 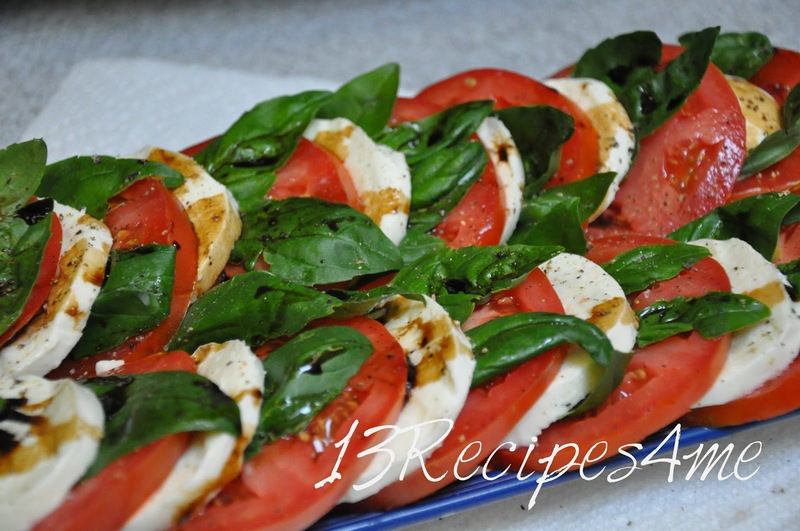 Fresh tomatoes and basil from the garden make this a wonderful summer salad.